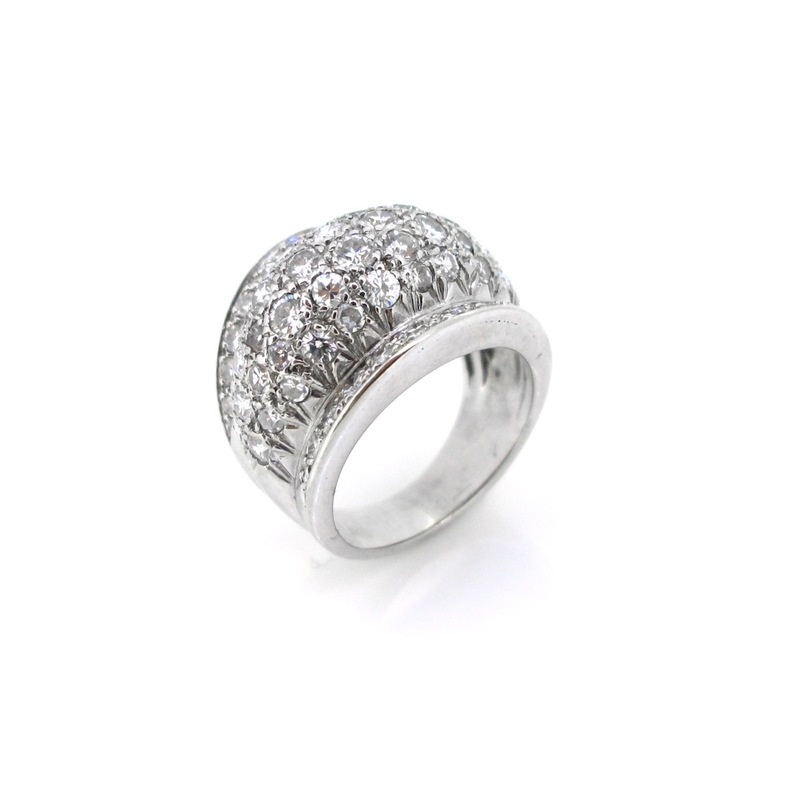 This beautiful Retro Bombe ring is fully made in 18kt white gold. It is marked with the eagle’s head. 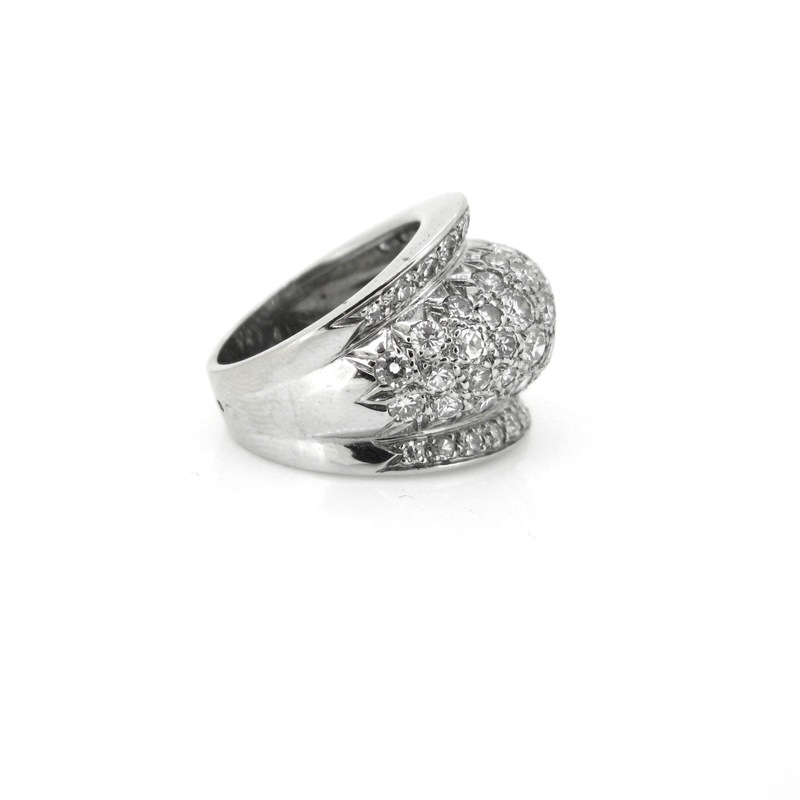 The total diamond carat weight is 2.780ct approximately with a good colour: H and a good clarity VS. It has a nice bombe dome design. 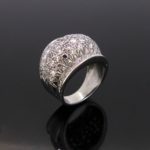 It is very easy to wear it every day. 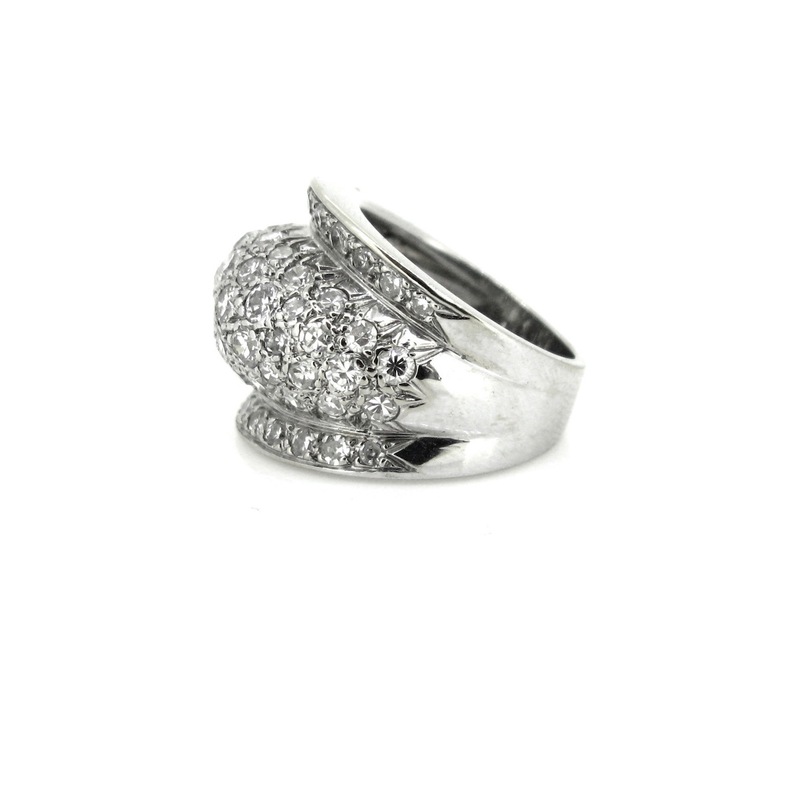 It is a size 5 ½ – 50 ¾ – L and could be resized. 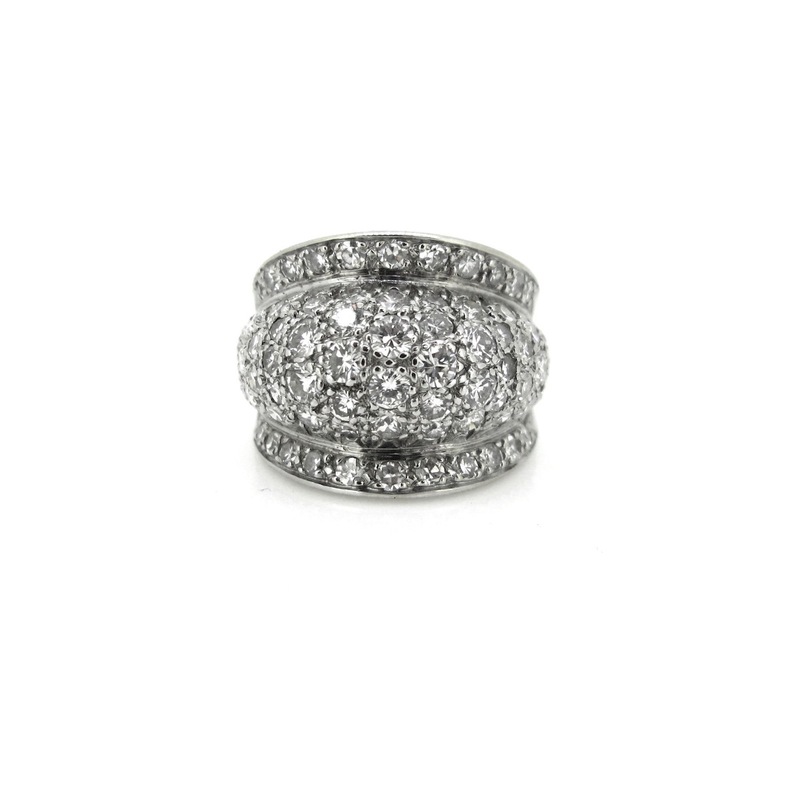 Total Carat Weight: 2.80ct approx. 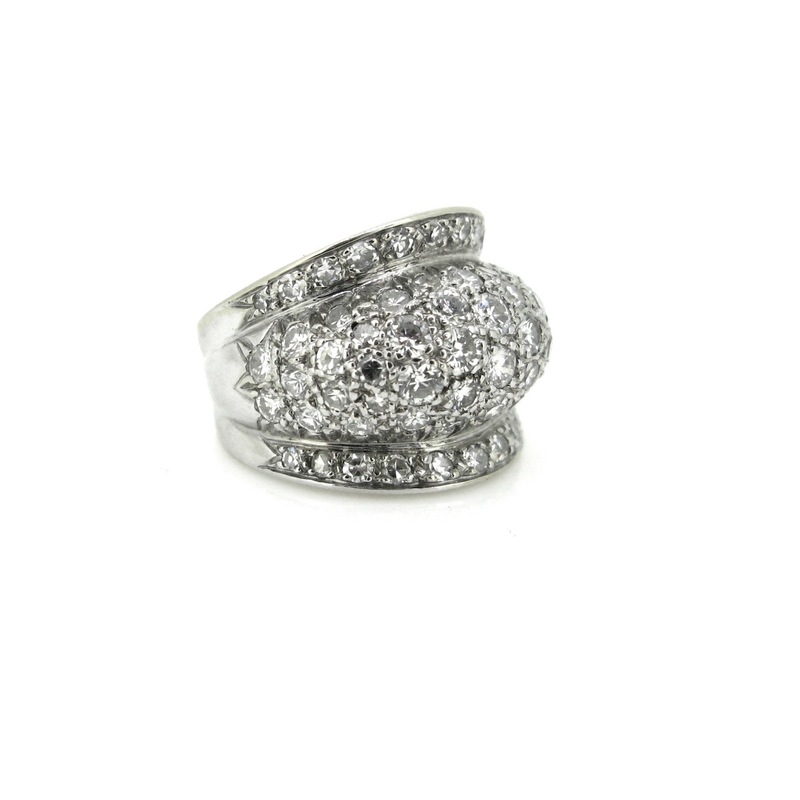 Heritagem presents : This lovely Gypsy ring features in its center an old mine cut diamond weighing approximately 0,80ct (I/J - SI) aThe ring was made in 18kt gold since we have the French owl hallmark. The ring weighs 11,10gr . 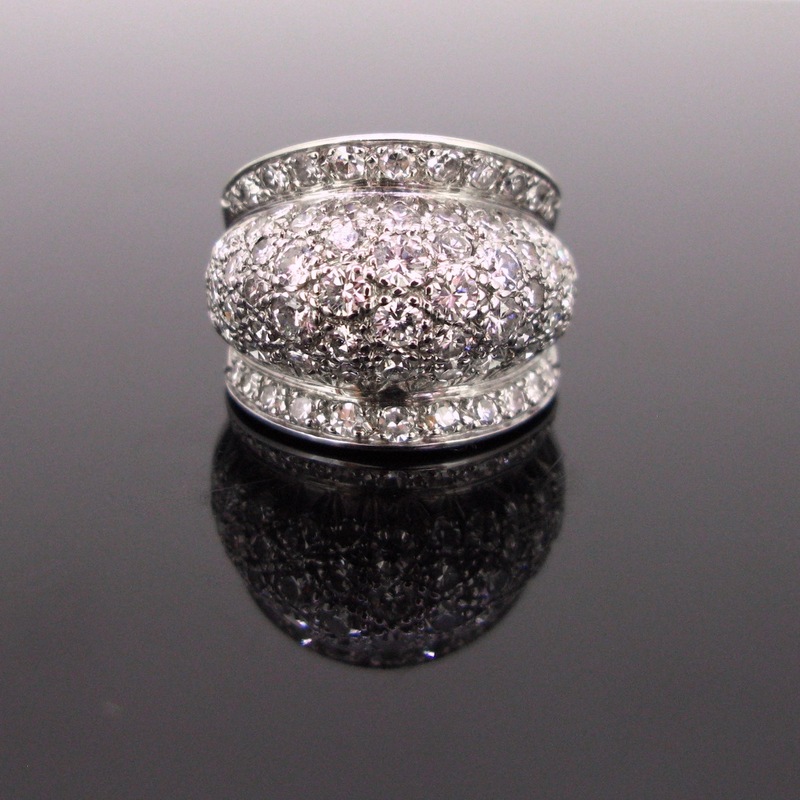 It could be easily resizable, feel free to ask, we will be happy to do it for you (included into the price).Gypsy ring were vey fashionable during the Victorian area, they were mainly worn by men. 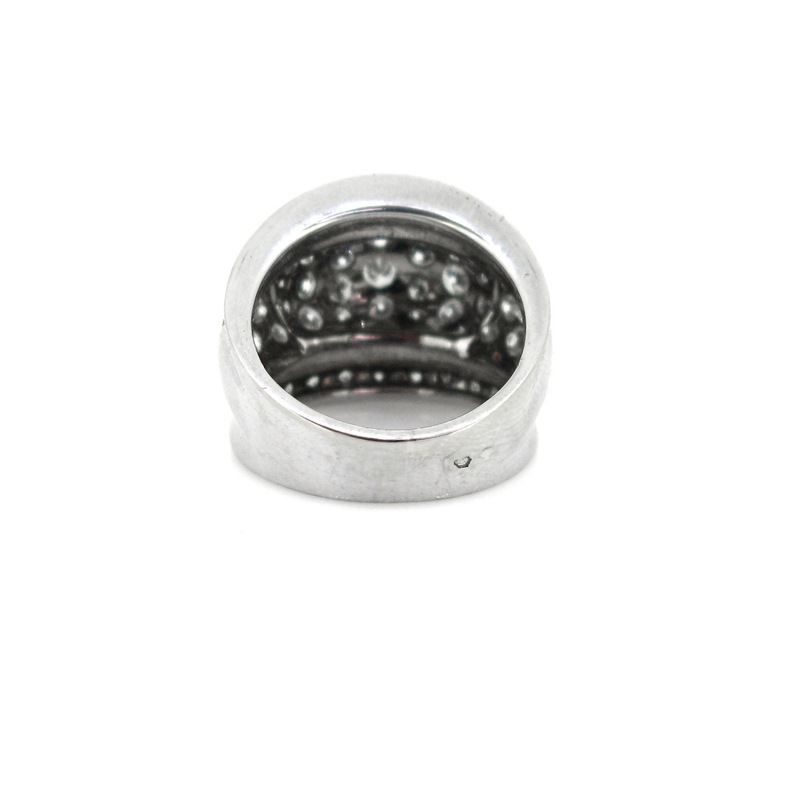 Gypsy rings are often given as friendship rings. Symbolizing the faith and love one friend holds for another. 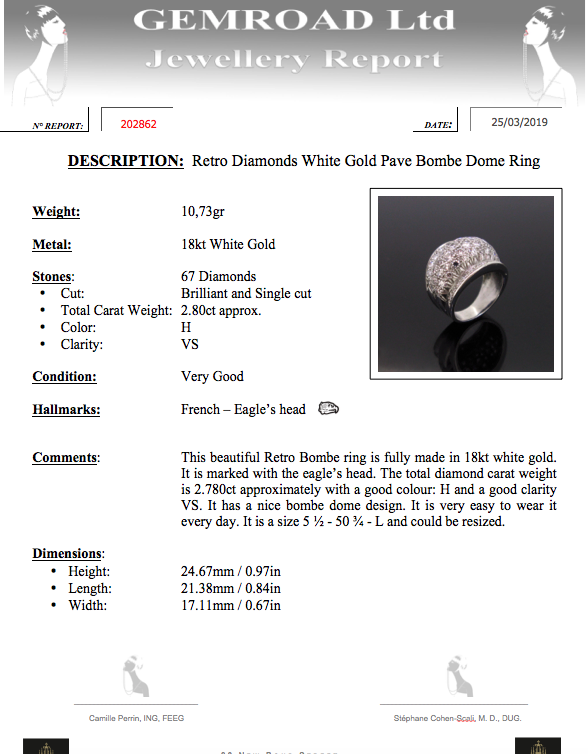 All our items come with either a gemological report or a jewellery report with circa and all useful information. This bold Retro bracelet is an everyday easy to wear dream. They became popular during World War II when the links of the bracelet were made to resemble the tread of a tank. This heavy and bold 18k yellow gold link bracelet was made in France. It is made with 2 rows of 17 buns links. The bracelet is stamped with the French hallmark for 18k gold.